When: Thursday, February 7, 9:00 a.m.
CORPUS CHRISTI, TX – The O.N. 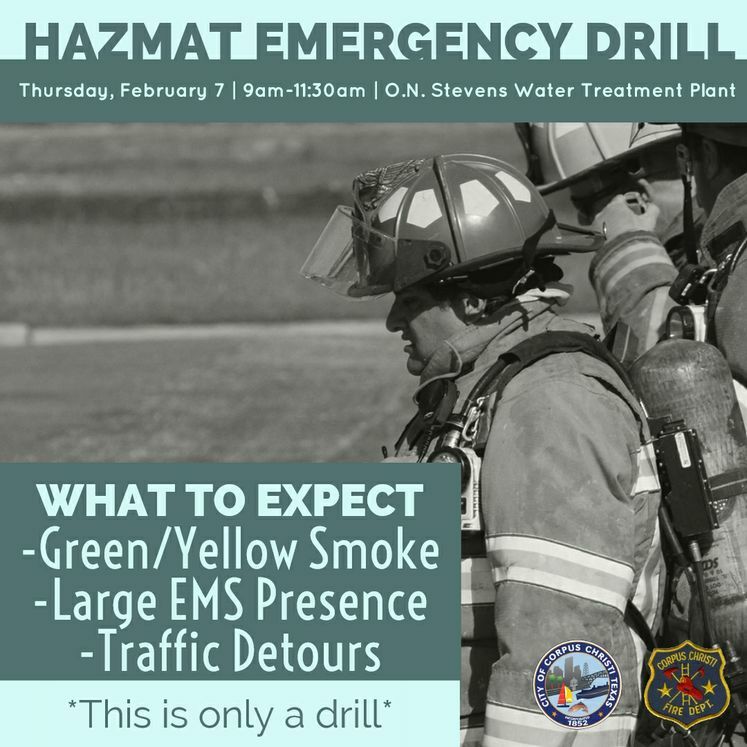 Stevens Water Treatment Plant located at 13101 Leopard Street will be conducting a hazmat drill on Thursday, February 7th. First responders will take part in the event which will take place from 9:00 a.m. to 11:30 a.m. Media personnel should arrive in advance of the drill by 8:30 a.m. After that time, plant access will be restricted to only emergency personnel participating in drill. Reasonable accommodations are provided upon request and in accordance with the Americans with Disabilities Act. For assistance or to request a reasonable accommodation, please call (361) 826-2940 at least 48 hours in advance.